I love a great guidebook. But, lets be honest… It’s getting more difficult to find a truly outstanding guidebook. 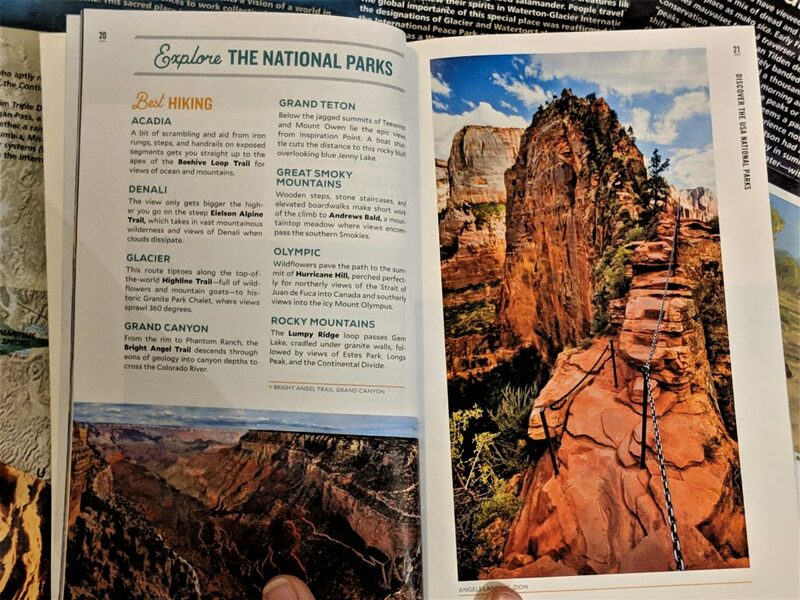 I didn’t expect to love the USA National Parks Guide by Moon – but once I opened it and started reading I was hooked! Just a note... 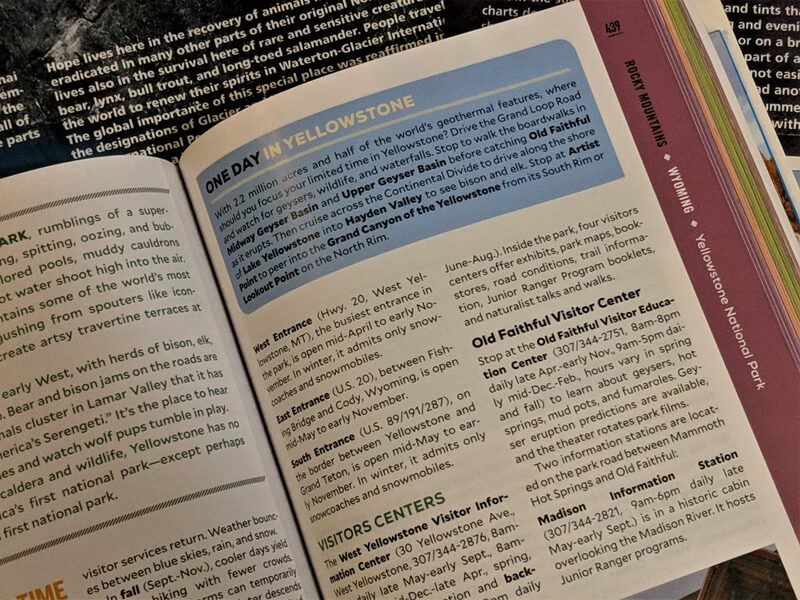 Unlike many overview guides to USA National Parks, this Moon guide doesn’t include National Monuments, Historic Sites, Lakeshores, or other public lands overseen by the National Parks Service. The most helpful pages, though, are the ‘At a Glance’ guide. Here you’ll find each park’s location, main attraction(s), high season dates, fees, and the page number to begin your research. 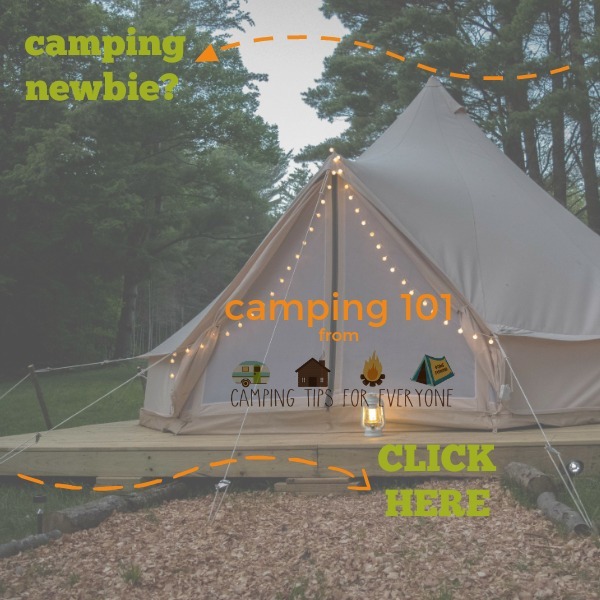 You’ll also be able to see, at a glance, if it is one of the most visited parks in the country- very handy to know when planning a camping trip! 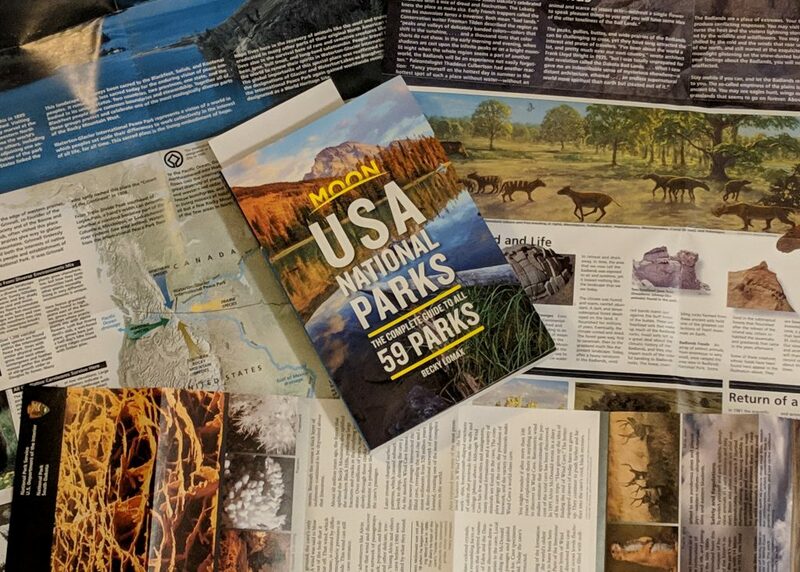 With only ten pages, on average, to devote to each National Park, the USA National Parks Guide is very thorough, including a spot to place your National Parks Passport Stamp, a brief overview, tips on how to plan your time, a 2-page map of the park, and ‘Top 3’ experiences. 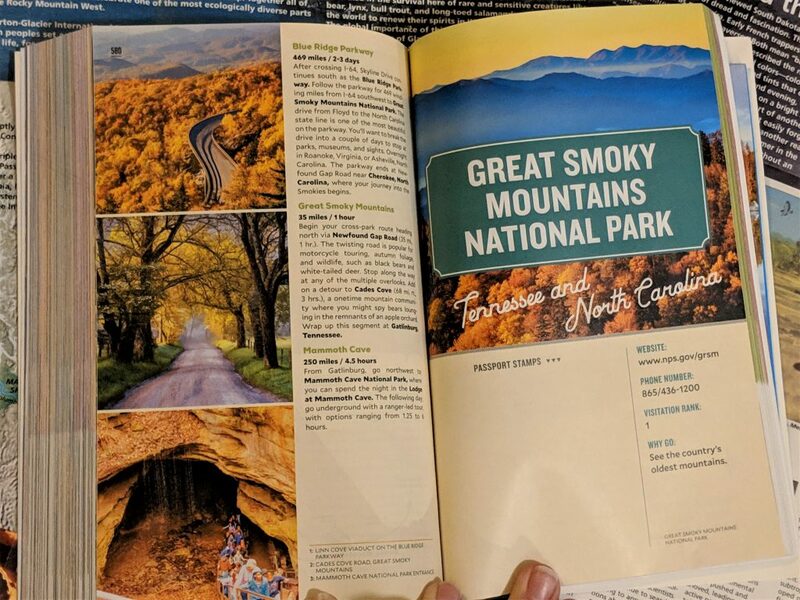 Each chapter goes on, specific to each park, with tips on sights, hikes, and recreation, where to stay, and, for the most popular parks, how to avoid the crowds. The author even provides tips on how to spend one day in each park. You’ll also find that, though National Monuments and other sites are’t profiled, they do gain a mention- complete with visitor tips- if located near one of the National Parks. This thorough book is a perfect companion as you plan National Park vacations. The stunning images will excite the adventurer in you, and the useful tips, along with the ‘must do’ activities and attractions, are a perfect beginning point to work from as you plan your National Park Travels.